When providing cherished gifts that are both beautiful and made to last we want only the best. Reed & Barton has been handcrafting fine gifts since 1824. They specialize in high quality gifts you can hand down from generation to generation. Start your precious little out with only the finest piggy bank around. Reed & Barton has not only designed adorable patterns but they are crafted to last. Check out my review of their elegant Jungle Parade Hippo Piggy Bank. You will be smitten too! 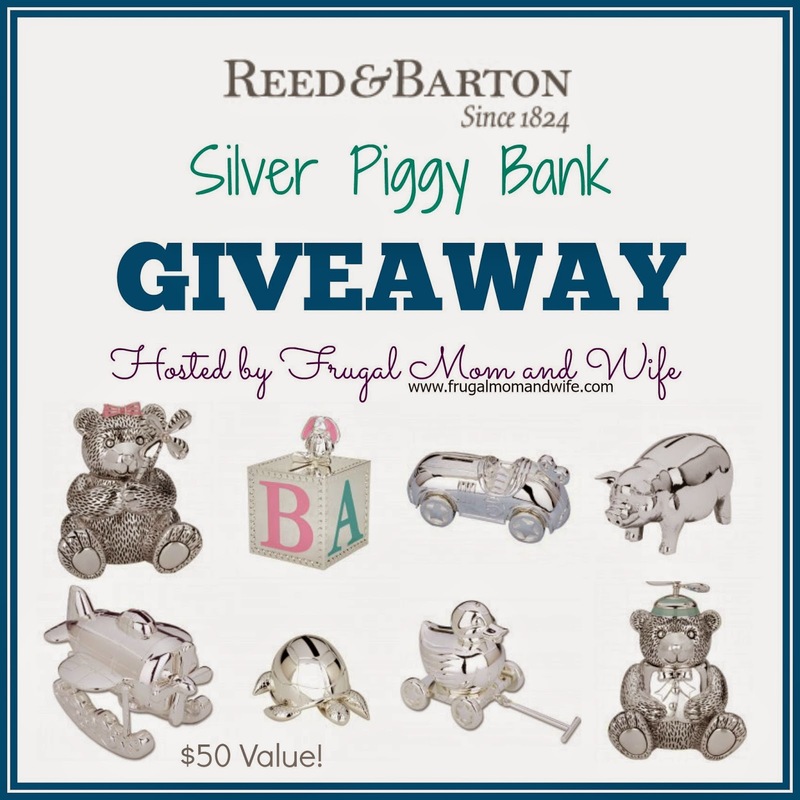 Here is your chance to win your choice of a beautiful Silver Piggy Bank! To enter to win simply connect through the giveaway tool below. Exclusive Frugal Mom and Wife Giveaway! Every entry in another chance to win! If you are the winner, please check your email to claim your prize. If not claimed within 72 hours another winner will be randomly chosen. Disclosure: Frugal Mom and Wife did not receive compensation for this post and is not responsible for prize fulfillment. Nor was compensated in any way. Frugal Mom and Wife only hosts the most awesome giveaways sponsored by outstanding companies. I would get the girl bear bank because my granddaughter really loves her teddy bears. Hi from Fun With A Message! What a cute idea for piggy banks.